It wasn't so long ago I wrote a post about integrating EPM 11.1.2.3 workspace with OBIEE 11.1.1.7, now with the recent release of OBIEE 11.1.1.9 I have to keep up the tradition and test out if the integration is still working, if I don’t then I will just get asked the question so I thought I would get there before it gets asked. For the integration I am going using a clean install of OBIEE 11.1.1.9 with a EPM 11.1.2.4 environment and using Oracle as the database repository. The Oracle OBIEE documentation covering the integration has not changed from 11.1.1.7 so I am assume the process much be the same and here is a high level walk through of the steps, if you want further information check out my previous blogs. I didn't think I would get stuck at the first step as I have never head issues before but I got stalled at hooking up OBIEE to the AD, it wasn't a problem with the configuration as both EPM and OBIEE were configured exactly the same as in previous versions. There were no problems returning the users in Shared services or logging in with an AD user. 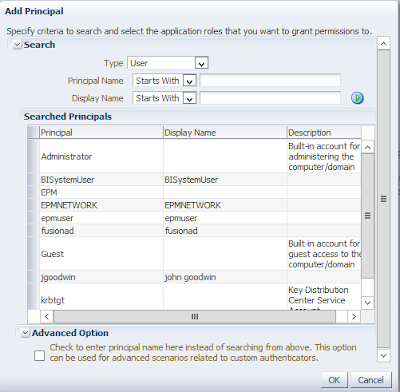 Both the WebLogic Admin console and Enterprise Manager were returning the AD users and I could log into both using an AD user. The problem was logging into OBIEE with an AD user, it would just fail and in the logs complain about the user not being found in the identity store. When using Microsoft Active Directory as the Identity Store and also using the virtualize=true option, users are unable to login to Oracle Business Intelligence. This relates to Bug 20188679 - authentication fails against 3rd party ldap when virtualize=true set. Customers should check the availability of a patch for this issue on their installation platform before continuing to upgrade to 11.1.1.9.0. This was exactly my issue and I would say it is quite a serious bug because it is so widely used. At the time I first tested this out there was no patch available so I used a workaround but now the patch is available. Fortunately applying the patch resolved the issue so on with the next steps. I questioned whether this would be still required, I thought the files in OBIEE 11.1.1.9 might been updated to match EPM 11.1.2.4. The files have not been updated since EPM 11.1.2.2, not sure why they have not been updated but I suppose it depends on which version of workspace you intend integrating with. Well it answers the question, you still need to copy the files across. Use the EPM system registry tool to do this. 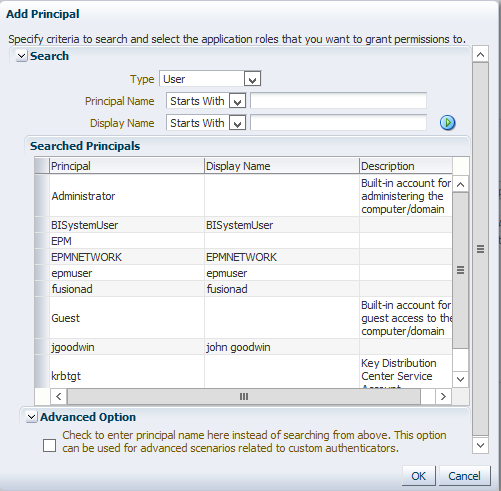 The properties file requires updating with information to the EPM instance, run the utility to register. Run EPM configure web server to add in OBIEE proxy information. 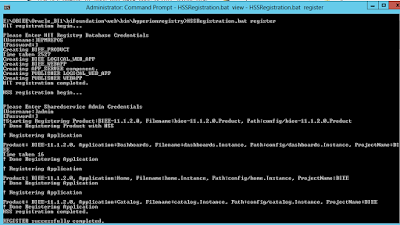 Proxy information added to the OHS configuration file. At this point the OBIEE menus should be available in workspace and provisioning available in Shared Services, please note that the provisioning is only to provide access to users to the OBIEE menus in workspace and is totally separate to OBIEE provisioning. 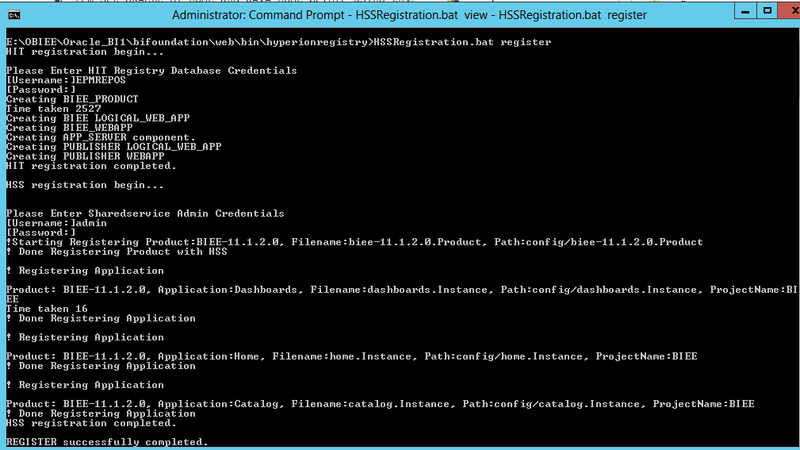 Enable SSO, apply and activate changes. Update bridgeconfig.properties to enable Hyperion CSS authentication. Restart EPM and OBIEE, provision AD user in Shared Services with OBIEE roles. Good sign the OBIEE menus were available. No problems then the single sign is working as expected. If you are intending to use Essbase, HFM or Planning as data sources in OBIEE and want to use single sign on then set SSO in the connection pools.